Billionaire Gibb Martin loves risk almost as much he loves a well-made suit. But when his business partner and longtime friend suddenly bails on a major venture to get married...well, that's one risk Gibb isn't willing to take. Now he just needs to charter a plane to Florida so he can stop the wedding-fast! Now they're alone on a stunning deserted island-and surrounded by temptation. And this is one collision they won't be able to walk away from! This is the third book in the Stop the Wedding series. This book has it all romance, adventure, sexual chemistry and an HEA! I especially liked Sophia she is such a strong independent woman and pretty much says exactly what she thinks! Gibbs is totally out of his element with Sophia but he handles it well and comes out just the kind of hero we love! Review copy supplied by the author in exchange for a fair and honest review. 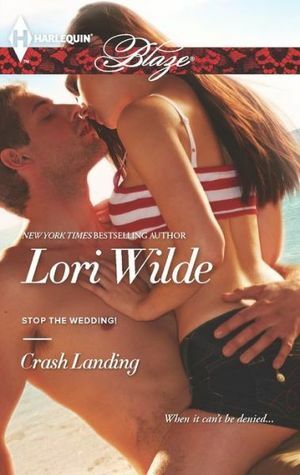 Lori Wilde can’t remember a time when she didn’t want to write. She even went to nursing school so she could have a schedule flexible enough to allow her to write on the side. She nursed for 20 years, working in a variety of settings from the newborn nursery to the recovery room, to dialysis. But she never lost her desire to write. She sold her first book in 1994 to Silhouette Romance but later discovered she had a flair for comedy and branched out to Harlequin Duets and now, to Blaze. 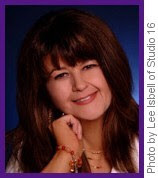 Lori is an adventuresome soul who loves to travel. She’s taken flying lessons, completed two marathons, rode in a hot-air balloon, performed with a professional jazz band, traveled Europe as a teenager, hiked volcanoes in Hawaii, trod on glaciers in Alaska, shot white-water rapids, water-skied, snow-skied, raced all-terrain vehicles, bodysurfed in the Gulf of Mexico, and photographed grizzly bears in Yellowstone.